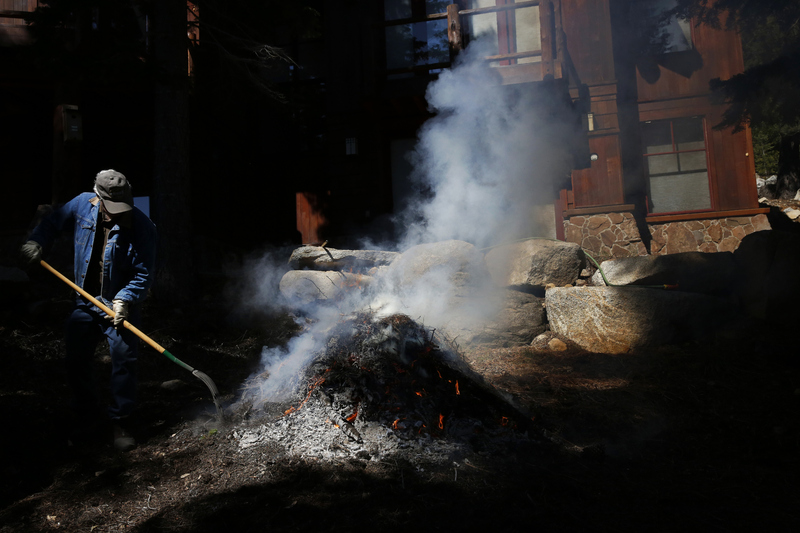 A longtime resident of Truckee tends a small permitted burn used for clearing dead branches, pine needles, pine cones and other debris that could cause a fire to proactively protect his land as the fire season approaches March 27, 2015 in Truckee, Calif. Pine trees across the state have been dying off by the thousands due to pine beetles that take advantage of their drought-stressed bodies. The small groupings and vast swaths of dead trees create an especially dangerous fire hazard in already parched conditions. The worst-hit area is in Southern California but the beetles and subsequent pine tree deaths are creeping North, with experts warning that the situation is on track to worsen.